www.siamdevelopments.com is the property of Bravothai Lifestyles.co.ltd. Exclusive agents to The Vineyard phrase one and two. Cenario Oeste is a Licensed Real Estate Agency that specializes in Portugal Silver Coast Properties. Helping people find property as an investment, holiday or permanent home. Buying an overseas property is a major decision. At “NEW LAND”, we are here to assist and advise on all aspects of your purchase. In co-operation with local English speaking architects, solicitors and notaries, our aim is to ensure that your purchase is handled professionally and swiftly. If you are looking to buy, sell, or rent your property, our friendly and experienced team at “NEW LAND” will be pleased to meet you to discuss your requirements. At “NEW LAND” real estate we specialise in the sale and purchase of residential and commercial properties throughout Lassithi (Eastern Crete) with a selection of opportunities in other areas of Crete. Our aim is to provide our clients with a friendly and professional service from your first contact to the completion of your purchase. We will also be pleased to assist in advising on mortgages, planning permission and relocation. “NEW LAND” understands that each client has a different vision of their ideal property. By thoroughly discussing your requirements, we promise to evaluate your specific needs and will make the best suggestions to accommodate them. 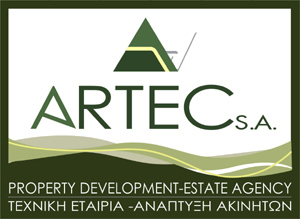 Artec Homes is an established Real Estate Agency and Property Developer in Chania, western Crete, Greece, with over 20 years experience in the Greek property market. Our large portfolio caters for all needs and budgets, from individually styled off-plan luxury villas with swimming pool and hotel real estate to traditional tired homes in need of a little TLC. 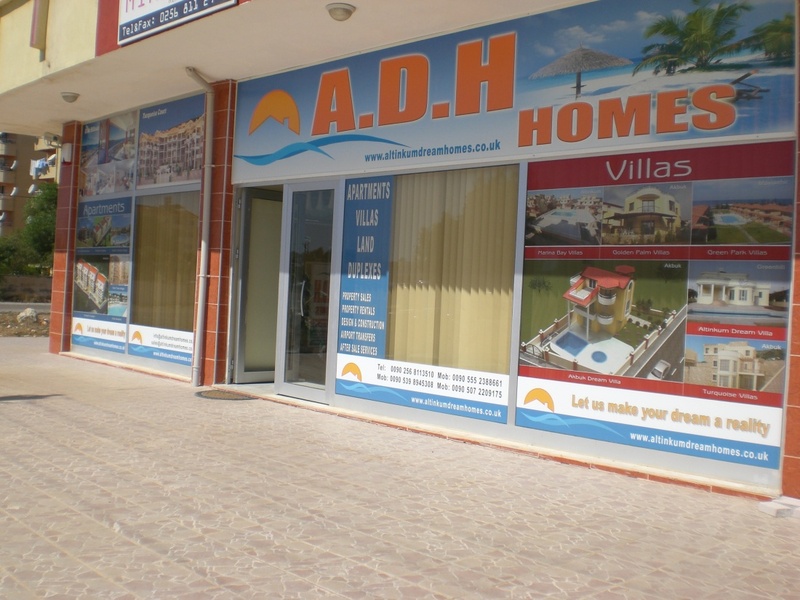 ALTINKUM DREAM HOMES Make Your Dream a Reality :: Welcome to A.D.H Homes a fully licensed indepented estate agency. Owned & managed by Edna and Mahir. We can help you to find the home of your dreams with a wide range of properties to suit all budgets. Our aim is to make purchasing a property in Turkey an exiting and enjoyable experience. 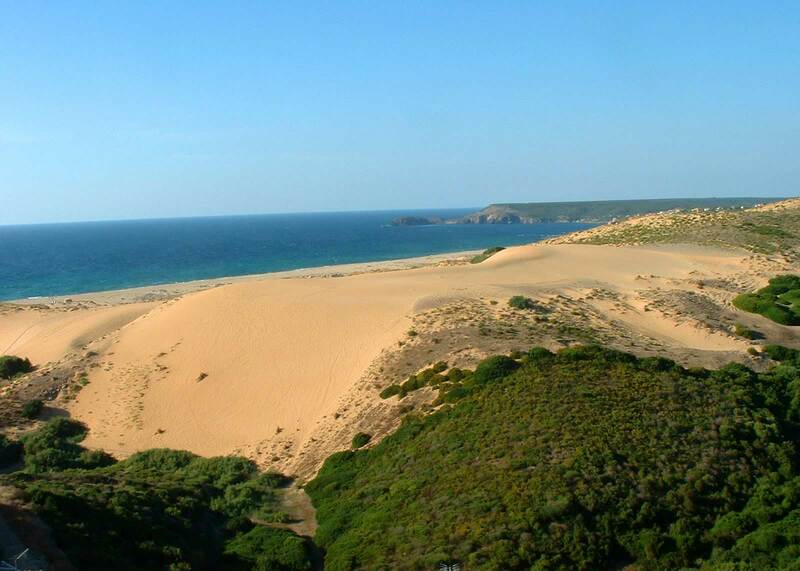 Altinkum is a family friendly resort with beautiful beaches, a stunning new marina and golf course planned for 2012. Property prices in Altinkum represent great value for money, starting at £21,000 for one bedroom apartment. So now is an excellent time to buy. We offer year round inspection trips so you can come and see for yourself what Altinkum has to offer. We are waiting your call. There are no strangers here only friends you’ve yet to meet. 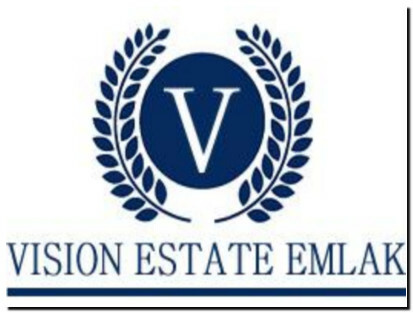 Vision Estate Emlak Construction offers the highest quality of real estates services on the market today.We have provided superior service to our customers and have assisted them in achieving their property dreams.Our many years of experience and commitment to excellence have earned us the reputation as one the best real estate agencies in South West Turkey. We do have property in the resort towns so,if you are looking for property or land for sale in Koycegiz,Dalyan,Dalaman,Gocek, Marmaris,Akyaka,Fethiye,Sarigerme,Bodrum, Alanya-Antalya area we can find you your dream home. However we specialize in finding land and properties for sale in the less commercialised areas of Turkey such as Koycegiz and some of the surrounding villages. We have new property and land coming to us every day so just contact us and let us know what type of place you are looking for and we will send you details of anything that matches your specifications. At Vision Estate if we can not find your ready built dream home, we will build it for you! Our skilled and experienced Estate and Property Developer will plan and build your Koycegiz house,Turkish villa,Turkey flat,Koycegiz apartment or duplex to your own specification. Can\'t find the property you are looking for? Simply write to our team and we will source the property of your requirements. Welcome to the #1 Argentina Real Estate Web Site "Argentina real estate specialists Since 1966"
Provides real estate listings in Belgium. Buyers may browse for properties by location, sellers may place ads on the site or in classified ads. IMOTI BG Ltd is a dynamically developing company in the field of consultation services - offering to its clients a full extent of consultations, management, juridical and marketing analysis of supply-and-demand on the market of real estates. IMOTI BG Ltd is specialized in management and realization of foreign and Bulgarian investments. Its competence and reliability are based on analytical approach and study of any specific conditions on the market of real estates. Among its clients there is a considerable number of foreign companies having interests on the territory of Republic of Bulgaria. Bulgarian off-plan property estates from BGOPE. Bulgarian full service real estate agency, offering Bulgarian real estate properties, houses and holiday villas for sale in Bulgaria. A complete package to assist anyone wishing to invest in Bulgaria. A name with value and reliability, KBM Best of Cyprus Ltd was established in early 1999 to offer the most comprehensive service in buying property abroad (in Cyprus and other developing Eastern European markets). Today, Best of Cyprus offers a 'one stop shop' of services from initial search, through to closing the sale and beyond. Both English and French staff on hand 7 days a week (especially weekends). All type of property for sale southern France in the Languedoc where you get 300 sunny days per year average. Our web site offers a large range of properties. Web site daily updated ! Wir sind spezialisiert auf die Vermittlung hochwertiger Immobilien in den Bestlagen Münchens und Umgebung, sowie Starnberger See und Tegernsee. Weiter bieten wir Auslandsimmobilien in Italien - Gardasee - Toscana und Ligurien und Südfrankreich - Cote d´ Azur an. ADK Kopanas real estate agency, our agents are committed to helping you get your home sold at the best possible price in the least amount of time. Our agents are known throughout the real estate industry for their experience and expertise and this translates into a smooth move with a seasoned professional. Let's get busy. Planning ahead and working with the right agent can make your transaction as smooth as possible. Our agents are known for their high level of experience and knowledge of the housing market. By working with an Equity Group professional, you're already well on your way to realizing the home of your dreams. North East Crete property sales specialists. Licensed agency with a wide selection of property for sale; houses, villas, holiday cottages, stone houses for renovation, apartments, land and commercial property. Renovation, new build and property management services available. Experienced Greek and English partners will help you find your Crete island home. Our company, Loupassis S.A., with it's twenty year experience in Real Estate, is your guarantee for a successful investment in Greece, Cyprus and especially in Crete. 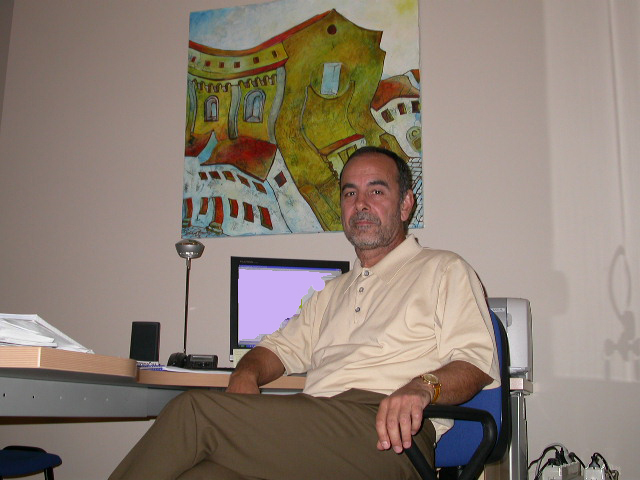 We are a real estate agency which specifies in selling houses in Eastern Thessaloniki, Greece. 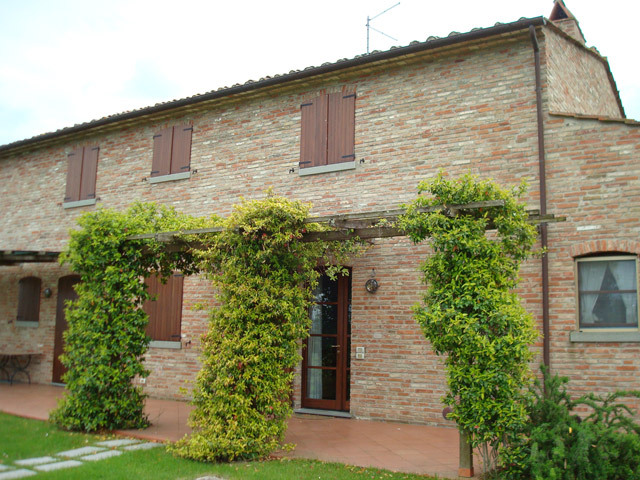 Real estate agency in Tuscany: we sell and rent country houses and apartments in the most enchanting medieval town centres in Tuscany. Since 1997, In Tuscany's villas, apartments and hotels have made the perfect Tuscan vacation accommodation for thousands of satisfied clients. To buy or to sell your holidays or residential home in Tigullio Gulf Ligurian Riviera I provide you with a thorough professional and personal service covering every aspect of the transaction with the minimum of problems for you. The Verdeamare apartments and little hotel in a holiday village Torre dei Corsari on seaside. Thei are built on a wildlife reserve very nice view. BASED IN ITALY, TOMASI IMMOBILIARE , OFFERING A RANGE OF EXCLUSIVE PROPERTIES: HOTEL STRUCTURES,PARTICULAR PROPERTY,Islands, Castles, ancient Villas, Industrial, Immovable areas Directional, Tourist Ports, Centers Trade, Areas Trade, Immovable to Yield, Tourist Initiatives, Agricultural Companies, Quotas Real estate Societies. 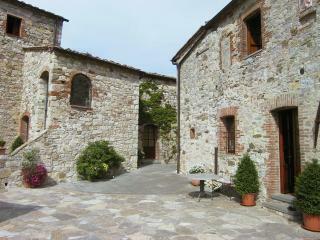 Exclusive properties for sale in Tuscany: Wineries, Castles, Historical Villas and Country Homes. "Excellent info on buying property in Spain/Mallorca. Outstanding presentation of properties. The section on buying a home in Spain is exactly the kind of information service Real Estate sites should provide! 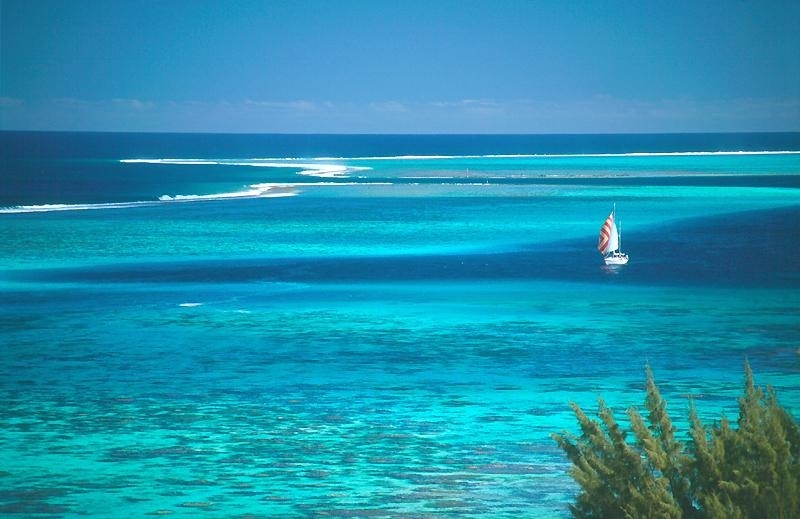 If you are looking for a piece of Paradise this is a great place to start your quest". "Ausgezeichnete informationen über den Kauf von Immobilien auf Mallorca/Spanien. Hervorragende Präsentation der auf geföhrten Immobilien. Der Abschnitt, der den Kauf eines Hauses in Spanien betrifft, ist genau die Art von Informationsservice, die Web-Seiten einer Immobilienfirma wiedergeben sollte! Wenn Sie ein Stück Paradies suchen, beginnen Sie mit Ihrer Suche auf diesen Seiten"
"Excelente información sobre propiedades en Mallorca/España. Impresionante presentación de las propiedades. La sección para compra/venta de casas en España es exactamente el tipo de información, que un agente inmobiliario debe proporcionar. Si quiere un trocito de paraiso este es un buen lugar para empezar su búsqueda"
For all you property requirements in Malta. Your New Zealand Real Estate Connection - To serve our community by interacting with knowledge, honesty, efficiency, integrity and fairness to help our clients to achieve the best possible success in their real estate endeavors. Real Estate in Portugal - Real Estate & Capital Investment Ltd. offers the highest selection of properties in Portugal. Our website has been created to assist those who have an interest in buying a home or property in the rural heart of Portugal. Practically nobody buys real estate via a website, but we hope that our website will at least introduce a number of possibilities by which potential buyers may want to follow their quests with an inspection visit to our neck of the woods in rural Portugal. Sunshine property have a large portfolio of properties for sale in Las Alpujarras, from rural farms to town and village houses and several coastal and luxury properties. We offer a top quality service and expert sales advice and have successfully completed over One hundred and Fifty sales in the last four years." 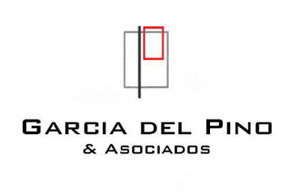 The first choice property agent for the Costa del Sol. At VIVA we’ve helped thousands of home-hunters find their place in the sun – and we’re ready to do the same for you. We offer an unrivalled range of Spanish property, and our friendly team of experts is always on hand to answer your legal and property questions. Casa Marbella is one of the leading Real Estate Agencies on the Costa del Sol (southern Spain / Europe). Founded in 1981 by Wolfgang D. Schlesier. Since then the company has become one of the market leaders on the Costa del Sol. We offer all types of properties in all price ranges between Malaga and Sotogrande. INTERAGENCY NETWORK (IN) MEMBER! Globus Estates, Friendly, Experienced, Trustworthy and registered agents specialising in the spanish Costa Blanca North area. 100s of properties available in all ranges with a fully searchable database. Part of the Infocasa network. Second Home Turkey is specialist in generating new developments in Turkish property market, which features a wide range of residential and commercial range featuring the best properties available in the area in terms of price, location, quality. Our network of real estate provides you selection of high standard real estate such as villas, houses and compounds, flats, apartments, lands and hotels in sale in South Coast line of Turkey ; Kemer, Kas, Kalkan Antalya, Alanya and Belek . British/Turkish owned estate agent est.2001, based in Yalikavak selling properties around the Bodrum Peninsula. We are here to help you through the purchase of your Future Home in the sun. Also we provide aftersales services, insurance, rentals etc. Tallahassee Florida Real Estate - Sheila Rogers Re/Max Capital Group - Serving all Tallahassee & Leon County communities including Golden Eagle, Ox Bottom, Killearn Acres, Killearn Estates & many more. 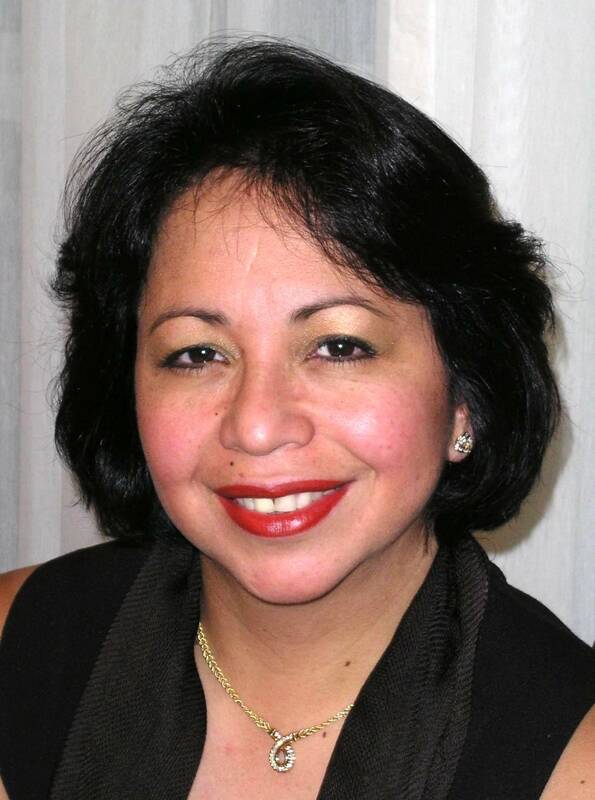 A veteran Realtor and his Team of experts, serving South Florida since 1985. Specializing in Residential, Commercial, Foreclosure, Relocation and Vacant Land. We are a FULL service brokerage firm! Real Estate on Florida's Treasure Coast, St Lucie County, one of the fastest growing areas in the USA. Miami Beach Realtor servicing Miami Beach Real Estate, South Beach, Fisher Island, Williams Island, Sunny Isles Beach, Aventura. Homes, Condos and Commercial Property. New Construction and Resales. Free MLS Property Search on Web Site. We have been in business for over 30 years. Website dedicated to offering assistance to individuals in their search and sale of property. Real Estate in Ponte Vedra Beach, Jacksonville, South Ponte Vedra, Atlantic Beach, Neptune Beach, and St. Johns County. Find New Construction, Luxury Homes, Oceanfront Homes and Condos, and Gated Golf Communities. Miami Florida Real Estate and relocation information, Free Buyer and seller information, Updated listings and homes for sale, Free home market analysis, community and school information, and automated listings emailed right to your desktop. Reliable real estate services in the Orlando and Tampa Florida areas for 20 years, specializing in: Orlando real estate buyer/broker representation. Representation when purchasing a new Orlando home from the builder. Representation when purchasing a pre-owned Orlando home. Bringing together all the best attributes of English and American real estate practices. The Central Florida experts for all you real estate needs. Offering personalized service, honesty, integrity and above all customer satisfaction. Quality Investments & Brokerage Inc. specializes in Pensacola real estate commercial residential and waterfront. Palm City Property features some of the finest real estate on the Treasure Coast of Florida, in beautiful Martin County, the Sailfish Capital of the World! Patti Nickless, your REALTOR in Big Pine Key, Little Torch Key, Summerland Key, Cudjoe Key, the Lower Keys, Marathon & Key West! Your link to Real Estate in Big Pine Key & the "Lower Keys", including Little Torch Key, Ramrod Key, Summerland Key, Cudjoe Key, Sugarloaf Key, Key West....and throughout the entire chain of the Florida Keys! Central Florida Real Estate, Including Clermont, Orlando, Windermere, West Orange and Lake Counties: Specializing In All Types Of Properties; Waterfront Homes & Lots, Vacant Land, Golf and Adult Communities in Clermont, Minneola, Montverde, Windermere, Winter Garden, Groveland, Orlando, Leesburg. 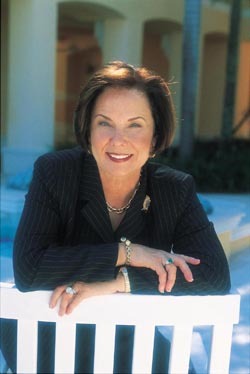 Ellen Tidwell, An Orlando Florida Native, Providing Expertise and The Service You Deserve Whether You Are Buying Or Selling! Helping To Make Your Dreams A Reality! Welcome to the premier Palm Beach County real estate web site! With a vast array of lifestyles and communities, Palm Beach County will fulfill your real estate dreams. Whether you enjoy the subtle luxury of Jupiter Island, the beautiful beaches or horse-friendly acres of Jupiter, perhaps the old Florida lifestyle of Juno Beach, or our newly blossoming hub in Palm Beach Gardens, the established neighborhoods of North Palm Beach, or the bustling downtown city life of West Palm Beach, the equestrian community of Wellington, or the western developments of The Acreage and Royal Palm Beach, and all the places north and south of here, we’ll bring you home. Buying and selling homes in Palm Beach County, Martin County or the Bahamas is what we do for you. I specialize in representing my clients in the purchases and sales of single-family residences and income property within the cities of Sunrise, Boca Raton, Plantation, Fort Lauderdale, Tamarac, North Lauderdale, Lauderhill, Margate, and Weston. I keep current of all transactions in these areas, and I'm also very knowledgeable with the local schools. Cape Cod Real Estate source waterfront + second homes. Site provides Cape Cod real estate information, allows a visitor to search the Cape Cod and Islands MLS and also provides buyer and seller tips. Focus is on Cape Cod beach area property, waterfront, waterview, second and retirement homes primarily in the East Sandwich, Sagamore Beach, Sandwich and Barnstable areas. ATB Media is one of oldest resources online targeted at both the UK domestic surfer and surfers from around the World seeking British information and services. XMLPPC.COM is a Meta-Search Engine and Internet Directory featuring results from selected premium search partners and free directory submissions. totalvillas.com is a revolutionary new web service that allows the advertisement of international properties which are either for sale or to rent. It is well worth the time to take a look at the numerous developments that are on offer from Best of Cyprus and Bulgaria property services. Whether you’re looking for a beach-side property or a ski chalet the modern developments on offer in both Cyprus and Bulgaria are well worth a look.